Test Drive Unlimited 2 developer Eden Games held a symbolic one-day strike today to protest planned layoffs and "mismanagement" at Atari. In response to Atari's plan to cut 51 employees from its staff of 80, Eden Games staged a symbolic strike today as a show of solidarity and to draw attention to what it believes is ongoing fumbling by management at the parent company. 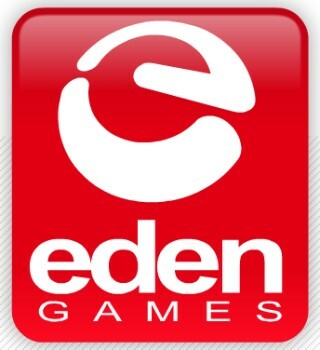 "Eden Games now pays for Atari mismanagement," the French studio said in a statement. "For several years we are witnessing multiple leader changes at its head, they did not hesitate to get rich despite financial difficulties." The statement claimed that employees have seen numerous recovery projects come and go over the past ten years, each of which "ended in a failure." It added that while Eden representatives have been "extremely collaborative" with the parent company, Atari CEO Jim Wilson has never even dropped into the studio to introduce himself. The studio wants further negotiations on the planned redundancies to ensure that "an employee of Eden is compensated the same way as an employee of Atari" and that it is given a clear indication of Atari's plan for the future. An Eden Games representative claimed that the compensation plan being offered to its employees is worth about half of what Atari employees got in the company's 2009 restructuring plan. Eden's most recent project, Test Drive Unlimited 2, was such a bug-ridden mess that Atari felt compelled to apologize by releasing the first premium DLC update as a freebie, the rep said he expected the game would achieve sales of around 900,000 units. "We're aware that there were several issues at TDU2's launch, but players continue to play and enjoy the game, so we believe it can be a long-time seller," he added. The layoffs are expected to happen sometime in June and although redundancy negotiations with Atari began two weeks ago, the rep said the company "doesn't seem ready to move from their position at the moment."